The public have been encouraged to shop at their local farm shop and farmers' market to help reduce the country's plastic use. The amount of plastic waste generated annually in the UK is estimated to be nearly 5 million tonnes, according to statistics by WRAP. Farm-to-fork businesses traditionally use less plastic produce packaging than supermarkets, and many have made an increased effort over the last 12 months. 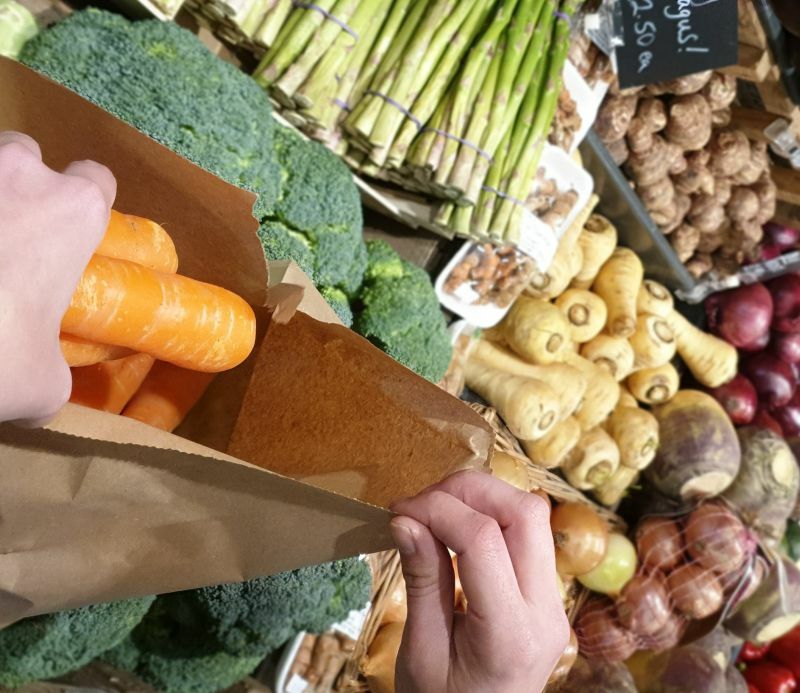 At local farm shops, customers can choose the produce they want and use paper bags rather than plastic. The Farm Retail Association (FRA) is now encouraging the public to shop locally to help reduce plastic reliance. Customers are also encouraged to bring their own containers to many farm shops, and some have dried goods dispensers for them to use. FRA member, Milly Stokes at Farndon Fields Farm Shop in Leicestershire, said that her business reuses all its produce boxes for customers to carry their shopping home. “We also buy bulk dried goods and display them loose in glass jars, our customers can re-fill their own containers. All our deli counter items are wrapped in brown or greaseproof paper,” she said. Mr Copley added: “It is up to retailers to lead the way in reducing waste in store, which makes it easier for customers to reduce their own waste at home. It comes as the UK's biggest supermarkets make the move to drop plastic. Fruit and vegetables wrapped in plastic in Tesco will have their packaging dropped in a new trial. Meanwhile, Marks & Spencer has launched over 90 lines of loose fruit and vegetables completely free of plastic packaging.